While I'm not a smoker myself, I do like to photograph people who are and who do in my presence. 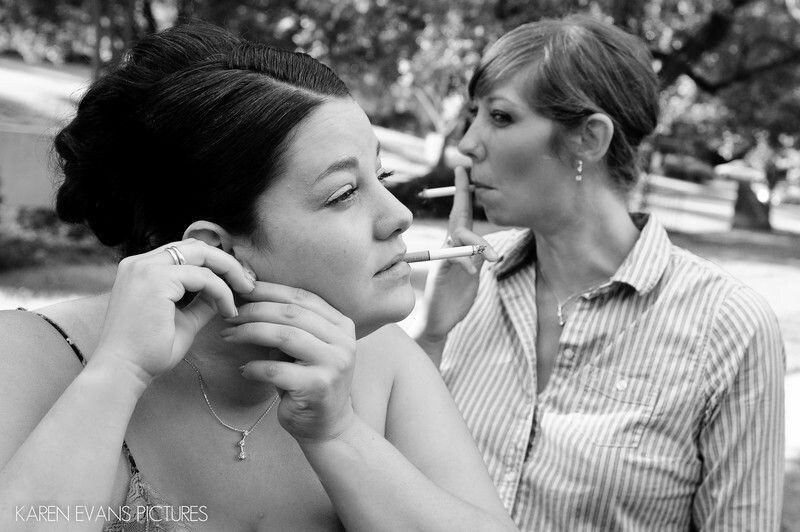 These bridesmaids were having a smoke break outside, while still getting ready. What I love about this photo is the "stacked" cigarettes and the position of the girls in relation to one another. Keywords: first community church (9).